"Roman Zadorov's case reflects widespread incompetence and/or corruption of the Israeli justice system, including its highest echelons, to a level that would be recognized in criminology as 'Organized State Crime'." The imprisonment of Ukrainian Zadorov by the Jewish state is a tragic mirror image of the notorious Mendel Beilis affair in the Ukraine a century ago. The Request also provides extensive background information regarding system-wide changes in the Israeli courts in the previous decade in conjunction with the implementation of fraudulent IT systems in the courts, which enable such conduct. A copy was forwarded to the International Criminal Court (ICC) in the Hague, since competence or lack thereof of the Israeli justice system is a central issue in review of complaints, pending before that court. Roman Zadorov is arbitrarily detained by the Israeli Prison Service - with no lawfully made Arrest Decree. Roman Zadorov's trial by the Nazareth District Court should be deemed sham/simulated process -- deprivation of Due Process and Fair and Public Hearing -- which ended with neither lawful Verdict nor Sentencing record. Roman Zadorov's appeal in the Israeli Supreme Court should be deemed lacking in authority and validity from start to end -- originating with no valid judgment records of the lower court, conducted with no valid records of the hearings, and where all decisions records are of dubious validity. Roman Zadorov's detention by the Israeli authorities allegedly violates articles of the Universal Declaration of Human Rights, the International Covenant on Civil and Political Rights, originates in Discrimination based on Nationality, Language, and/or Religion, and in inadvertent political reasons. Roman Zadorov's case reflects widespread incompetence and/or corruption of the Israeli justice system, including its highest echelons, to a level that would be recognized in criminology as "Organized State Crime". 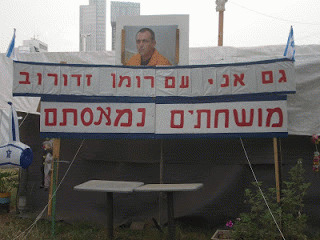 The large-volume complaint includes records from the Zadorov trial and appeal in the Israeli courts, and various other records, reflecting the state of the Israeli justice system today.